Harry N. Abrams, 9781419718700, 208pp. Jessica Shortall is a mother of two with a career dedicated to business and doing good. During her breast pump years, Jessica was the director of giving for TOMS Shoes. She holds an MBA from Oxford University. "Work. Pump. Repeat. is an incredible resource for breastfeeding moms going back to work. 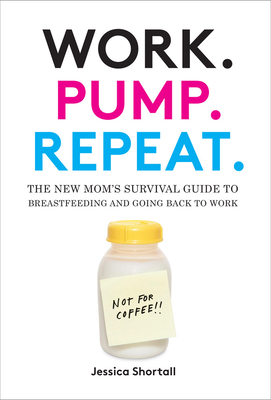 But this is also a must read for anyone working or living with a pumping mom, even the guys. Jessica's spirit comes through, irresistibly fun and honest you can't help but laugh and be humbled at the same time. Little did I know that Jessica would be unearthing some of life's most valuable lessons for women, managers and employers while she was pumping in cars during our infamous Nepal trip."